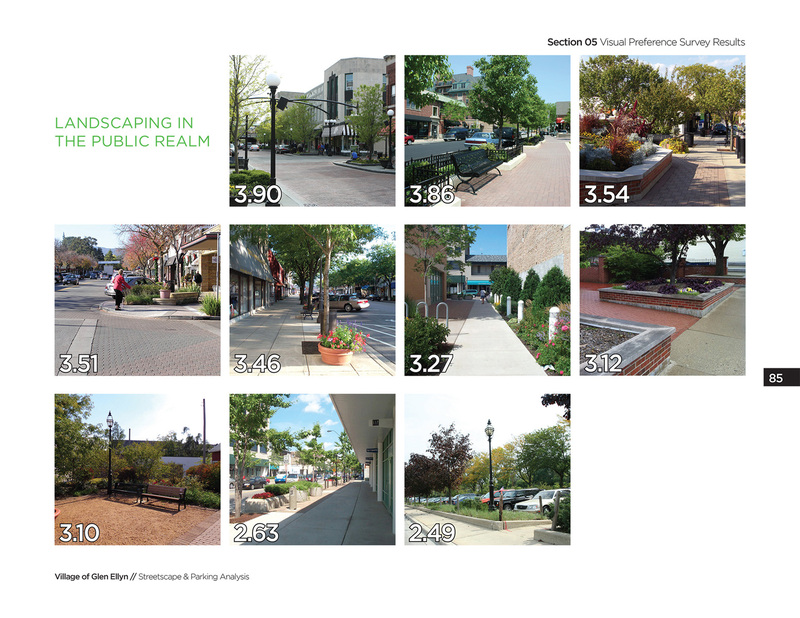 In the past decade, the American landscape has begun to transition its focus from suburban growth back to the dense, downtown centralization of the past. 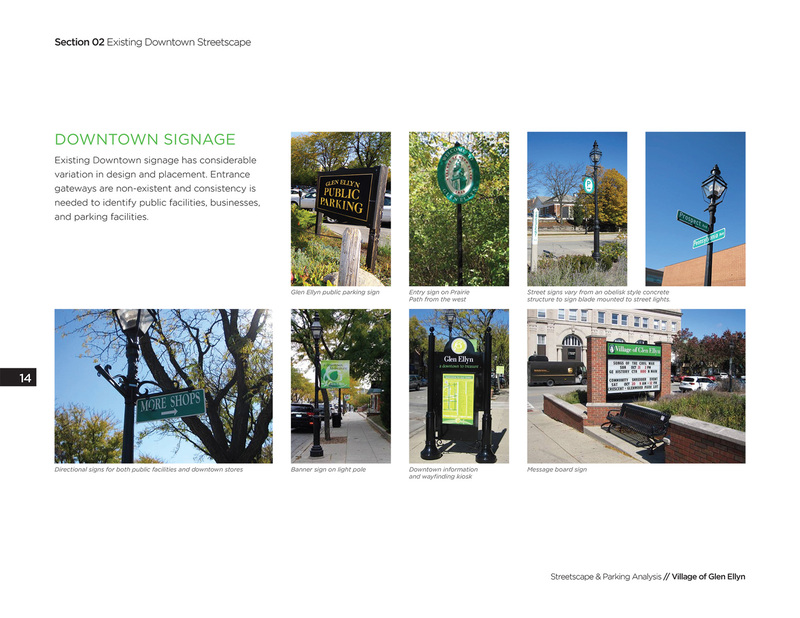 As emphasis is placed on city centers, many municipalities are faced with the task of reinvigorating downtown districts to meet new demands and challenges. 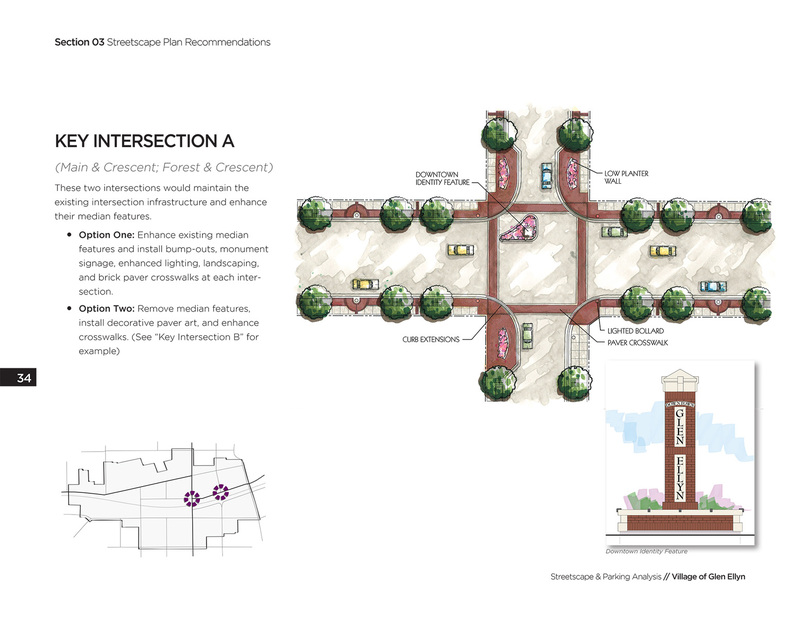 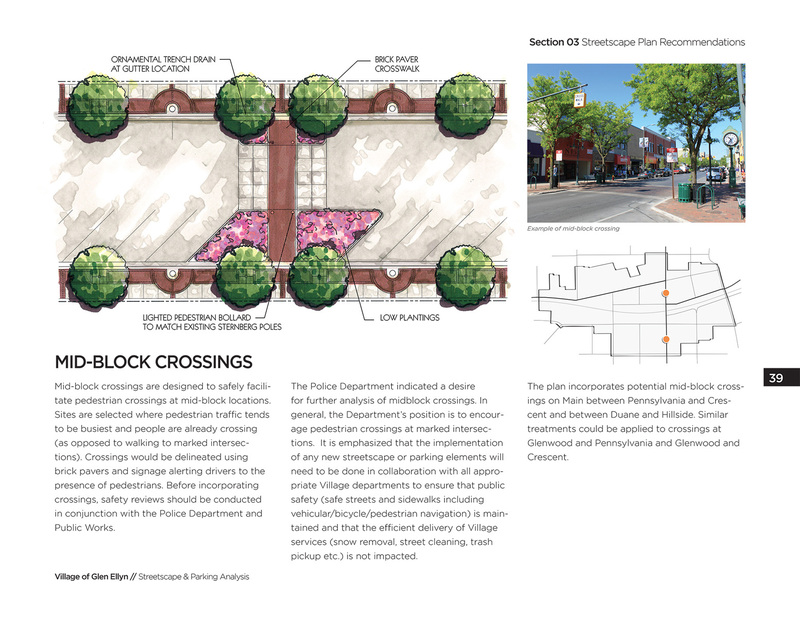 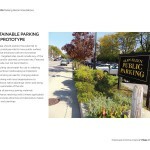 The Downtown Glen Ellyn Streetscaping Plan & Parking Study was developed to address the physical infrastructure of the Downtown district, helping to lay a foundation for further improvements and increased traffic in the area. 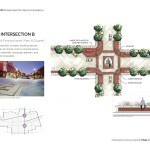 The plan included two major components. 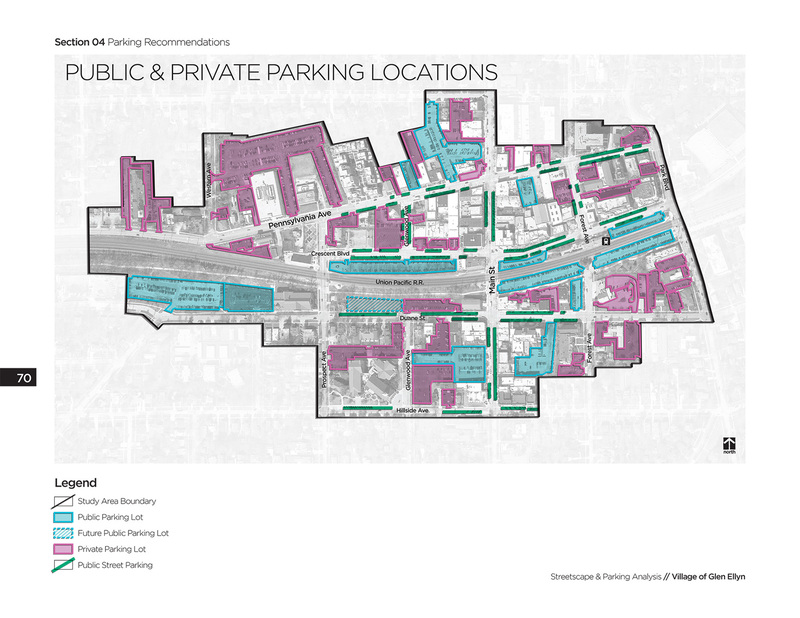 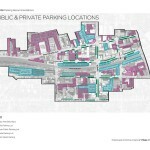 First, a parking study was conducted to analyze automobile capacity within the downtown and provide designs and recommendations to improve parking. 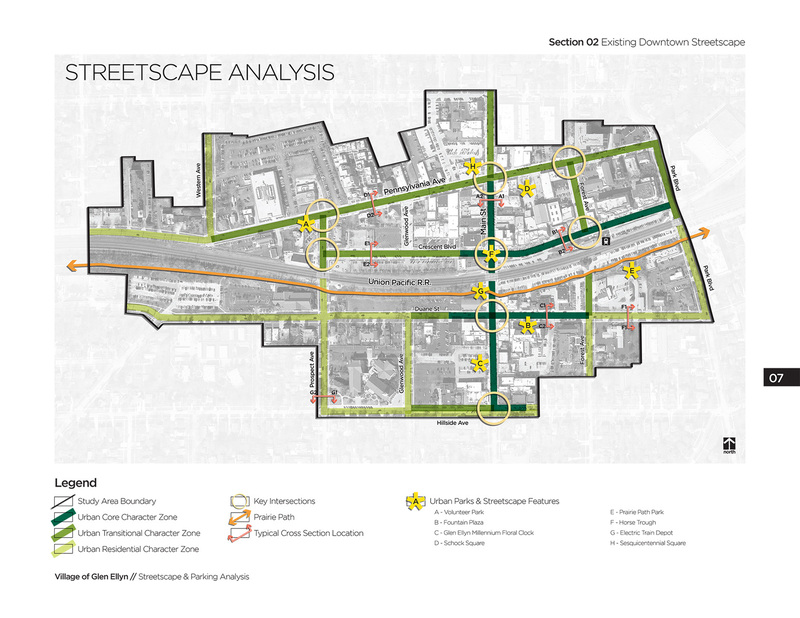 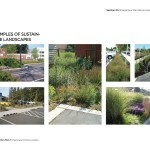 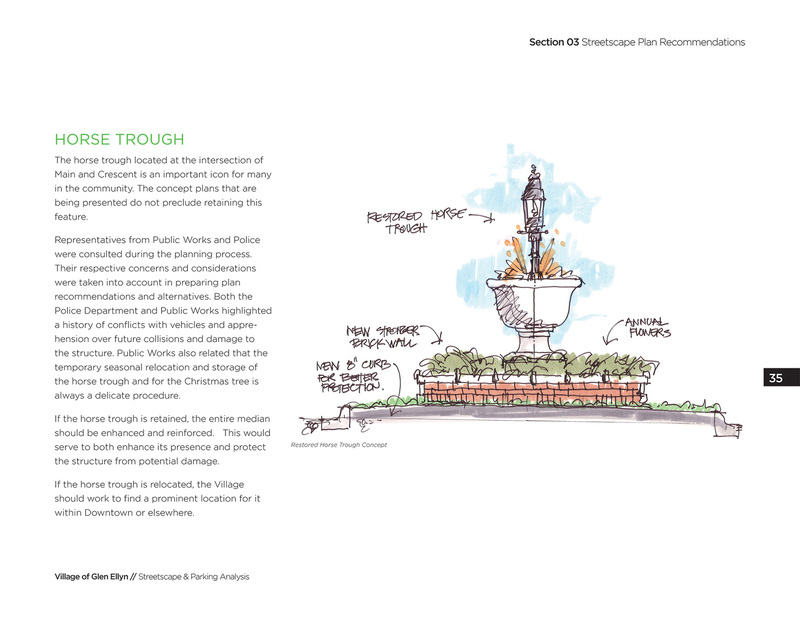 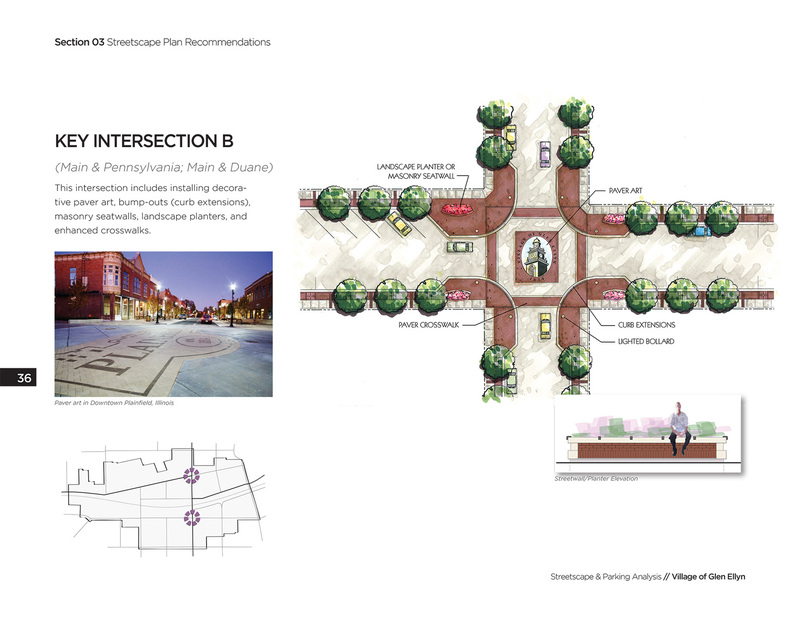 Second, a streetscaping plan was designed to work as a framework of specific areas to address within the city center. 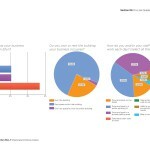 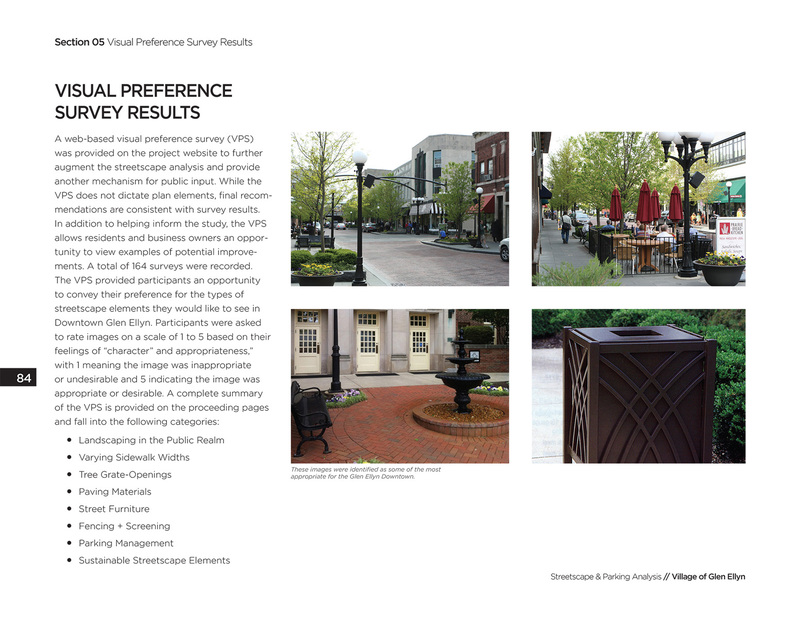 Among the plans various outreach efforts, residents were able to take a visual preference survey which guided plan recommendations to best suit the character and desires of the community it would serve. 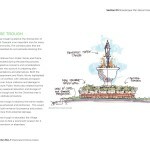 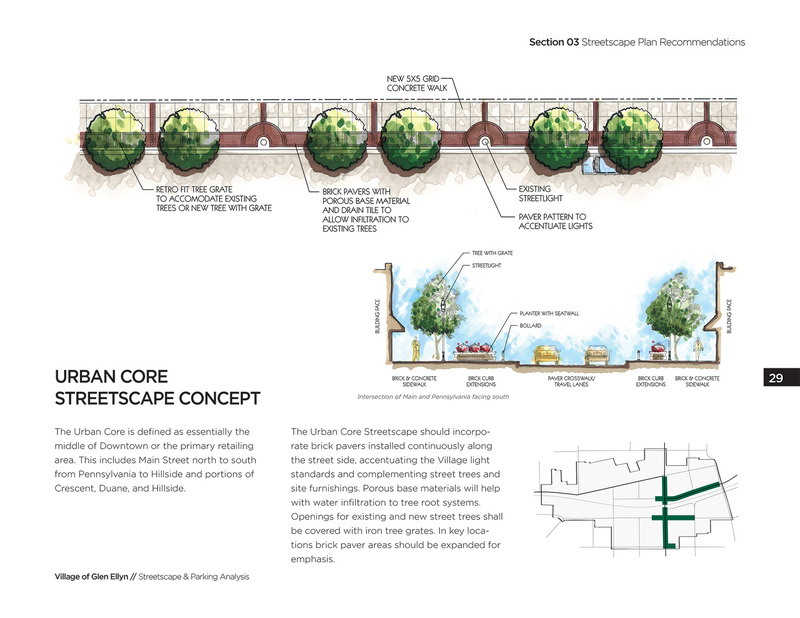 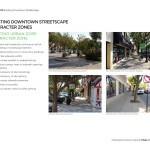 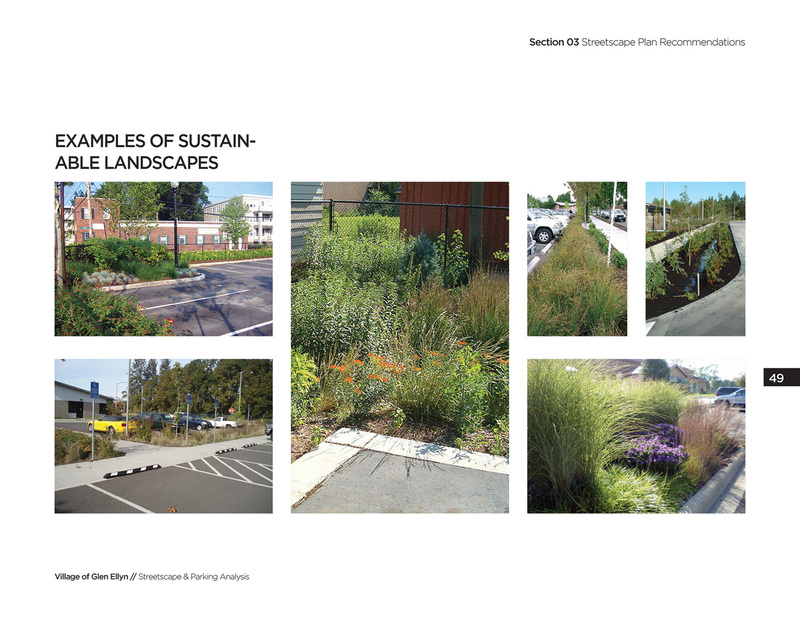 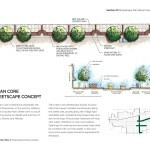 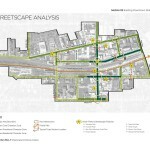 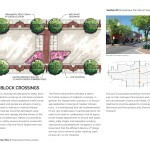 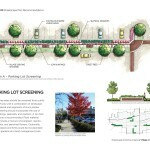 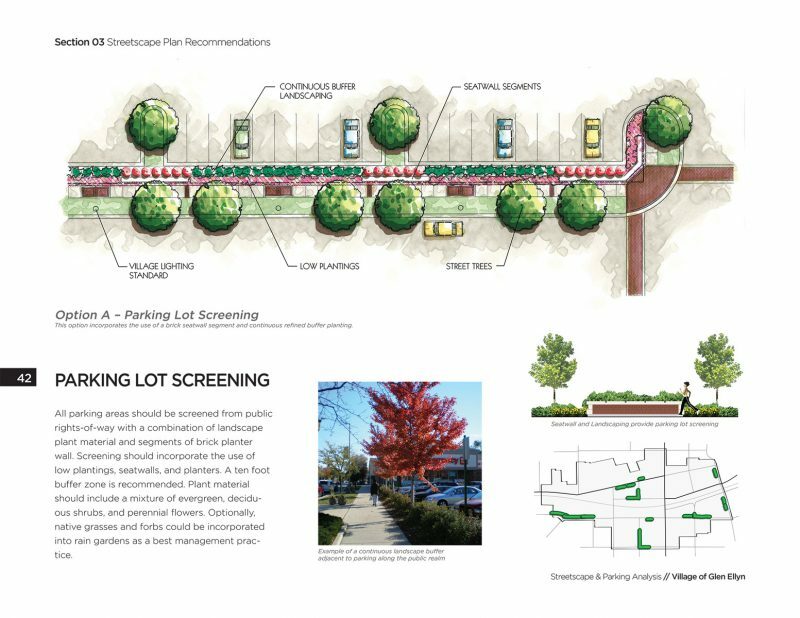 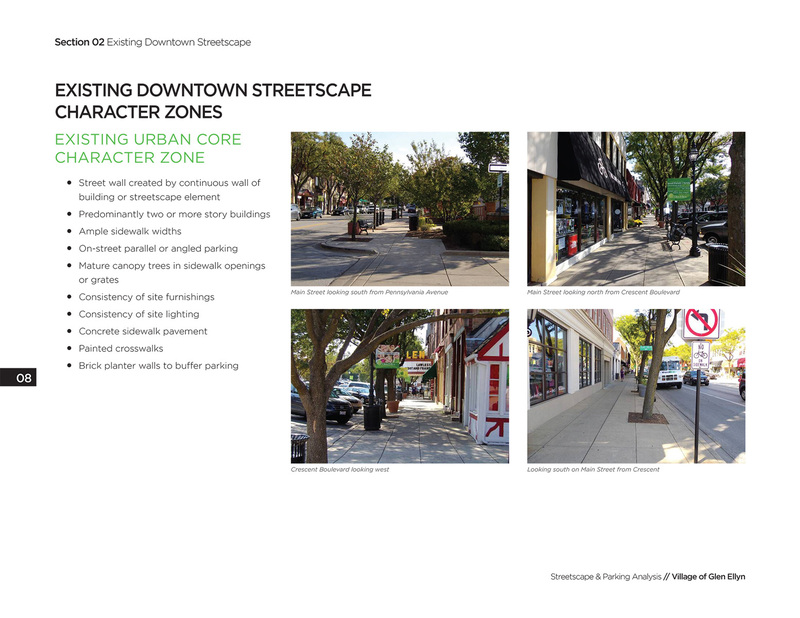 The streetscaping plan included a series of vignettes that provided visualizations of plan concepts including street trees, seating areas, site furnishings, traffic calming measures, and enhancements to pedestrian mobility. 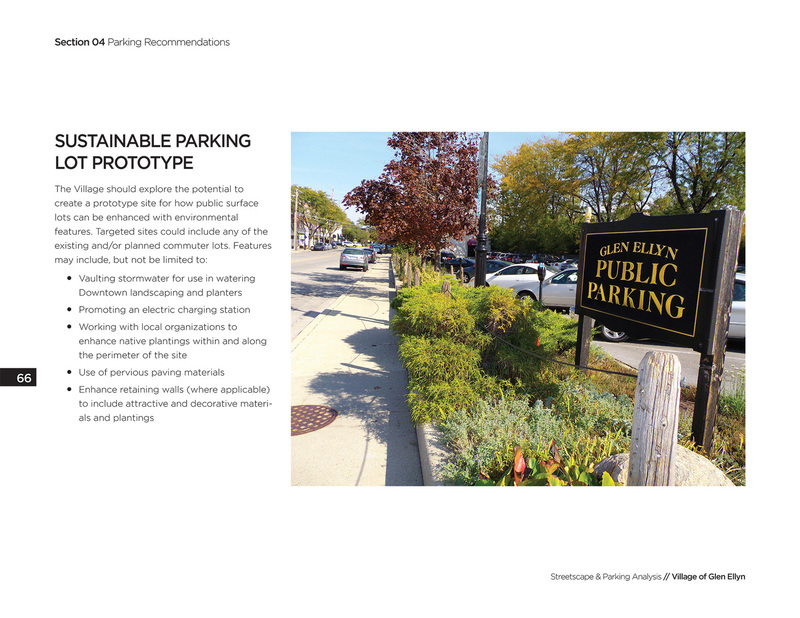 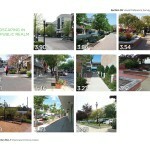 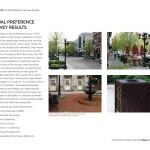 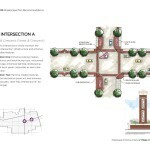 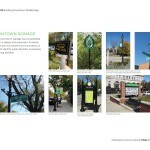 Broken into preferred options according to community appeal, the Downtown Glen Ellyn Streetscaping Plan & Parking Study works as a guide for improvements and reinvestment in Glen Ellyn’s Downtown.